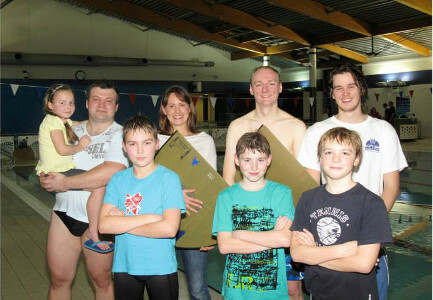 It has been a long time since we last had a finswimming competition in the UK. The landscape of the sport has changed a lot since then - the biggest clubs dissolved and many new appeared. It was our turn to take a lead. At the beginning we were quite worried about finding officials for the event. But thanks to all the parents and friends who offered support and helped to run the event, it met the highest standards. As this was the first event organised by our club we were a bit hesitant about inviting foreign clubs, so it was a UK only event. Next time we will go a step further and put Bristol on the map of European finswimming! 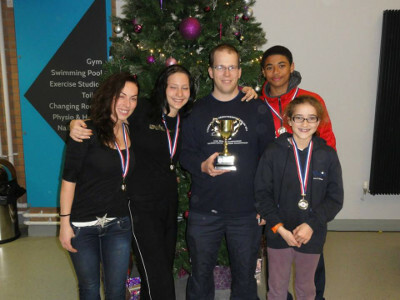 19 competitors from all over the country took part from four clubs: Neptune, Northern Lights, FinWorld and LondonFin. Although we tried to make the Gala rather celebratory, nine events within two hours was quite a big challenge. 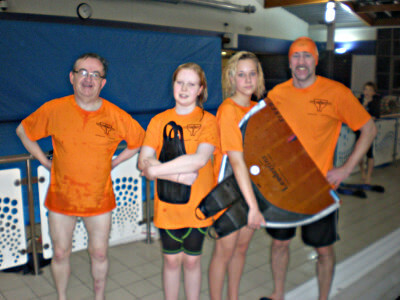 Several brave swimmers took part in every race! The BFA Cup went to LondonFin scoring 211 points, followed by Neptune with 127 points, Northern Lights with 85 and FinWorld with 66. No National Records this time, but many age group records have been improved. It was nice to see many children at the Gala. We strongly believe that in order to support growth and continuity of finswimming we all need to focus on encouraging the new generation to participate in the sport. We think that the biggest achievement of this Gala is that we know that Finswimming, despite difficult times, is progressing in this country. All finswimmers know what they are training for. And we all see brighter future of our sport!